Cyndy Davenport has been working in the land development industry for 27 years in the capacity of design, technology management, implementation, training, and support. Cyndy is a regular speaker at Autodesk University and blogs at c3dcougar.typepad.com. 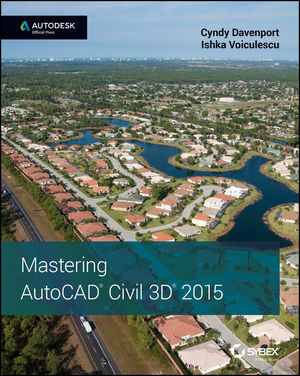 Ishka Voiculescu is an engineer at the City of Austin Public works and has extensive experience using the Autodesk Suite products for planning, design, and visualization. He is a member of various engineering groups, an active forum contributor, and blogs at civildigest.com.